In the last 30 years, there has been a significant change in the way people spend their leisure time. Gone are the days when people spent their time outside the home in the name of catching some fun. Nowadays, the best way to catch some fun during your free time is to play games on your gaming console – the most popular consoles being Sony’s PS4 and the Xbox. But there are problems that can hamper a nice time with your gaming console – lack of storage space being the chief culprit. In this regard, notable storage drive producing companies like Western Digital launched drives which are compatible with the PS4 game console. On the other hand, Sony updated the PS4’s firmware to allow for the attachment of an external drive. With these measures put in place, gaming geeks had just one hurdle to scale – which drive is the best for my ps4? 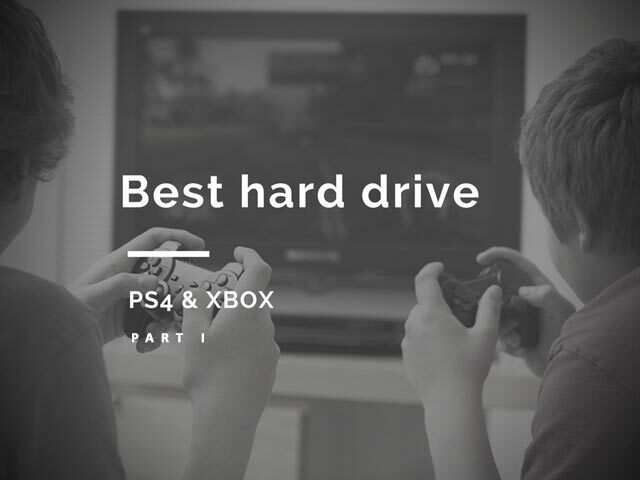 If you’ve ever wondered which drive is regarded as the best PS4 external hard drive, then this article is for you. There’s no gainsaying that one could have easily opted for an internal PS4 drive, however, not everyone is comfortable with dismantling their PS4, given that doing so could void the warranty of the product if anything goes wrong. It’s pertinent to note that swapping PS4 internal drives isn’t an arduous task. If you aren’t an avid gamer, then chances are that you don’t need much storage on your PS4. So instead of buying an external storage drive for your console, simply use the money for something else. On the other hand, if you are a devout PS4 gamer, then you surely need additional storage space for your games. You surely don’t want to be caught unawares while answering the Call of Duty! Like the saying goes, all that glitters isn’t gold. In the same vein, not all external storage drives can be used on your PS4 as a backup storage drive. Before you buy a PS4 hard drive, you should first download and install the latest PS4 firmware version 4.50. The firmware 4.50 was the first firmware released by Sony that provides support for up to 8TB of external storage. 1. Your Budget: This is usually the first thing to consider anytime you want to start shopping for a product. Your budget should be greater than the average price of the products you have in mind. More so, you should consider the price of brands and the features of the products. It is often common to see products more expensive than their counterparts because they have some extra features. 2. Go for a portable drive: Most gamers will opt for a portable storage drive for their PS4 game consoles. The miniature nature of such portable drives makes it easy to toss into a bag with your PS4. Moreover, small portable PS4 drives have ample storage spaces. On the other hand, desktop mode storage drives may not be the best option. Aside from the fact that it’s bulky and can sit like an effigy beside your PS4, it will also require an external power source. This leads to having more wires in the way and it can also significantly increase your electricity bills. If you have a game you’d like to play with a friend, taking the desktop drive out along with you will be a daunting task. This clearly spells out that you need a portable drive more than a desktop drive. 3. The drive must have USB 3.0: Currently, PS4 provides support for only USB 3.0 powered drives. Anything other than this will not work on your drive. Moreover, using a USB hub to connect the drive to your PS4 isn’t allowed. 4. Storage Capacity of the drive: The storage capacity of the drive you intend to buy for your PS4 external hard drive should be more than 250GB and up to 8TB. Ideally, a 4TB PS4 external hard drive would cover your storage needs even if you are an ardent gamer. And for 4TB drives, a portable drive would be a good choice. 5. Don’t buy SSDs: SSDs will surely work as long as they have a USB 3.0 port and have a minimum storage of 250GB. But… you won’t notice any performance increases like you would if the SSD was used on a computer. Generally, SSDs are more expensive than the conventional HDDs. The price of one SSD for your PS4 can buy more than two HDDs for your PS4. 6. Durability and Warranty: Also worth noting is the durability of the drives you intend to buy. No one wants to spend money on a new drive for their PS4 every year. As such, you need to look out for drives which are recommended as being durable. Additionally, the warranty of the drive should also be considered. Most drives come with a two-year warranty and often live above that. Never purchase a drive with just one year warranty. 7. Forget the features: If you are going to use the drive on your computer, then you should consider the features. On the other hand, if you’re strictly going to use the drive on your PS4, then don’t mind the technical drive features. They won’t make much difference on your game console. Having known these factors, let’s review the following drives touted as being the best PS4 external Hard Drive. We will review one desktop drive and four portable drives. For this review, we’ve carefully left out the selected these drives for reasons best known to us. Let’s begin with the only desktop drive on our list. Anyone who wants all their games, music, videos etc in one place needs a drive with massive storage space. This is exactly what you get with the Western Digital 8TB My Book Desktop External Drive. 8TB worth of storage space? That’s pretty massive. This drive is suitable for any PS4 gamer who also wants a store for games on his computer, mobile phone, PlayStation portable or just about any file you can think of. Unfortunately, he can either use it as a store for his games or a dedicated drive for his PS4. A lot of people have their perceptions about the My Book Desktop drive – one reviewer called it a desktop version of the My Passport drive. I don’t know if WD had such in mind before making the My Book Desktop drive. Design wise, the My Book Desktop drive sports a monochrome black colored chassis. The drive is only available in black color. It measures about 6.7 x 5.5 x 1.9 inches and weighs as much as you can imagine. The weight is an indication of the amount of storage space on the drive. 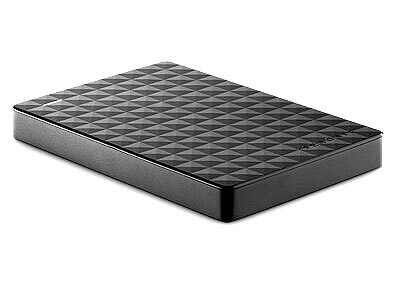 The drive’s storage space start’s at 3TB, 4TB, 6TB and peaks at 8TB. For a PS4 user, 8TB is more than enough to keep you busy all year round. If you use the My Book Desktop drive for backing up data on your computer, you’ll appreciate the encryption feature. The 256-bit AES encryption ensures that your data stays protected. However, the encryption feature isn’t going to be of much use since you are using the drive with your PS4. In addition, the WD Backup software will be of no use to you nor will you notice any performance difference between this drive and any other drive. The USB 3.0 port provides a one-way access point for data to move freely to and from your PS4. The drive draws power from an AC adapter which it is connected to. Connecting and syncing the drive with your PS4 is easier than ABC. Just plug in the USB 3.0 cables and follow the simple on-screen instructions to handle the rest. We shared some how-tos below. You can check them out if you want. The following are the Pros and Cons of the WD My Book Desktop External Drive. Western Digital’s My Book Desktop drive is the perfect choice for PS4 gamers who need a large storage space. You may never know how awesome it feels to play PS4 games when you are playing alone. Of course, most guys play with their friends when the friends’ come visiting. But what happens when you go over for a sleepover at your friend’s place, and he doesn’t have as many games as you have on your PS4 desktop drive? Heaven knows how heavy desktop drives can be – you surely won’t take it along. The best way to avoid stories like this is to get a portable external hard drive for your PS4. The Seagate Expansion 4TB drive is undoubtedly the perfect choice. Given its large 4TB storage space, storing your games and other applications will be a breeze. Unlike the WD My Book Desktop drive which is not portable, the Seagate Expansion 4TB portable drive is the opposite. The Seagate Expansion 4TB drive weighs just about 0.52 lbs and is small enough to fit in your pocket. It measures just about 3.15 x 4.61 x 0.82 inches. Seagate also offers the Seagate Expansion drive in 1TB, 2TB, and 3TB models as well. All their models are compatible with the PS4 game console. The USB 3.0 port connects the drive to the PS4. In a simple plug and play process, the PS4 game console will synchronize with the drive in a matter of seconds. All you need to do is to follow the onscreen instructions. There’s absolutely no need to carry an AC adapter with you. The USB 3.0 cable draws the power from your console. This saves you a couple of dollars from your electricity bill. You can spend that purchasing more games. Below are the pros and cons of the Seagate Expansion 4TB portable drive for PS4. This drive is a great product for gamers who are always on the go. Sleek design, ample storage space and easy compatibility with PS4 are its selling points. If you are on a tight budget, the WD 1TB Elements drive is the answer to your prayers. The drive which sports a simplistic design, but packs a punch inward is undeniably ready to cater for your gaming needs. Its 1TB storage space won’t limit it. The WD 1TB Elements drive holds a very special position in the heart of so many users. One often wonders why everyone is in love with the drive. To start with, it sports a basic black look which isn’t in anyway fancy or premium. For some users who are used to premium looking gadgets, it may even feel cheap. The drive weighs just 8.2 ounces and measures 4.4 x 0.82 x 3.2 inches. Surprisingly, it also comes with the same storage capacities as the Seagate Expansion drive – 1TB, 2TB, 3TB, and 4TB. Just like other drives that are compatible with the PS4, the WD Elements has a USB 3.0 port. In one deft move, the drive connects itself to the PS4 without any hassles. Given its small size, the drive draws its power from the USB 3.0 port. It comes with the WD SmartWare Pro software which isn’t useful on your PS4. It does, however, protect your data on the drive if you are using it on a computer. A quick suggestion is this: get separate 1TB drives for your computer and your PS4 game console. On the other hand, you can also opt for the 4TB Seagate expansion model. The following are the pros and cons of owning the drive. Like I said earlier, if you are on a budget or you want just about any external hard drive for your PS4, then you should look the way of the WD 1TB Elements portable hard drive. For what it’s worth, the Toshiba Canvio Connect 2TB portable drive is undeniably a great drive. If you’ve used it on a computer, you’ll definitely understand why it’s great. It’s lightweight, portable, and pocket-sized and comes in several colors – unlike drives that are available in just one color. To start with, the aesthetic features of the drive is appealing. It measures 0.77 x 3.07 x 4.29 inches and weighs just about 8 ounces. Given its lightweight and size, fitting it into the back pocket of a jean trouser won’t be difficult. However, you should take note, so you don’t sit on it. More so, if you’re wearing tight skinny jeans, it is not advisable to have the drive in your pocket. This is obviously due to the fact that unnecessary pressure may be put on it. 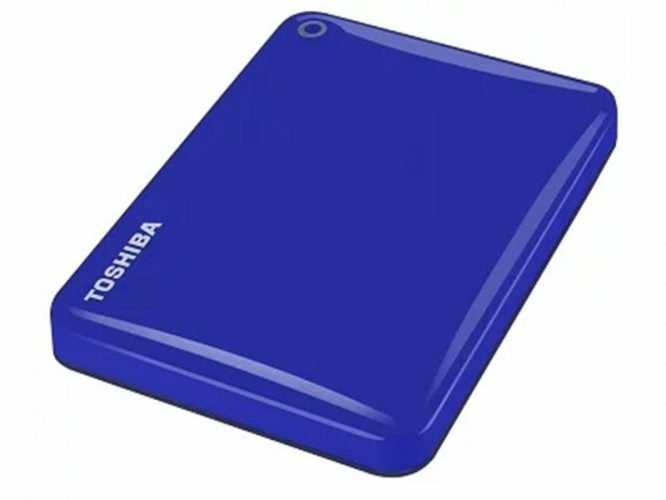 Aside from its weight and design, the Toshiba Canvio Connect 2TB is available in several colors: black, blue, white, red and satin gold colors. On top of that, it sports a shiny metallic finish with a matte white bottom part. This should make the drive standout whenever it is placed beside your PS4 console. Data transfers to and from the PlayStation console is taken care of via the USB 3.0 port. The USB 3.0 port also draws the required power from the PS4 console. Furthermore, the 2TB storage space is apt for storing virtually anything from game walkthroughs and tutorials to installation files. Unfortunately, PS4 doesn’t support that. You won’t really be bothered about the processing speed of the drive – it’s insignificant when using the drive on a PlayStation console. The Toshiba Canvio Connect is simply an excellent drive. We recommend it to anyone looking for long-term ample gaming storage. 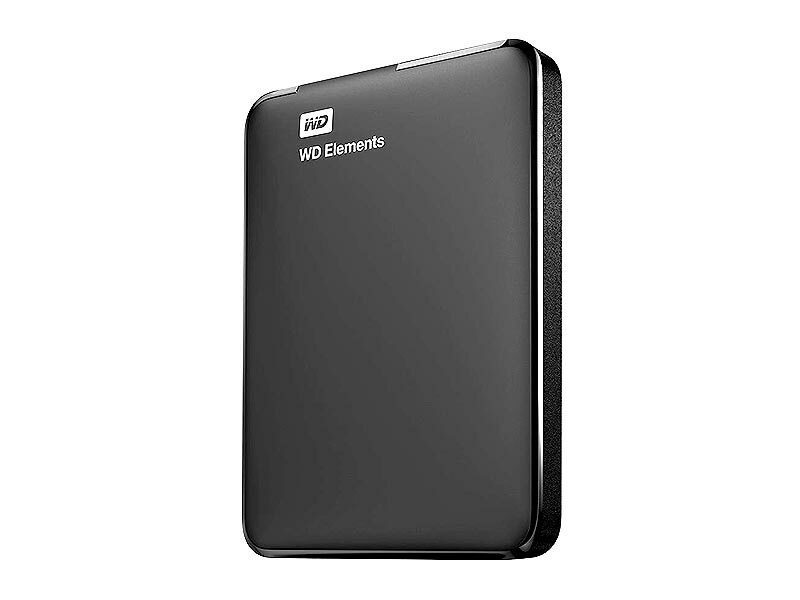 Last but definitely not the least of the drives on our list is the 2TB WD My Passport External Hard Drive. Built in a variety of colors all sporting the same design, the drive looks and feels good when held. Available colors include white, red, black, orange, blue and yellow. Design wise, the 2D split casing look of the black drive which we are reviewing stands out beside our PS4 console. Same can also be said for the other colors. 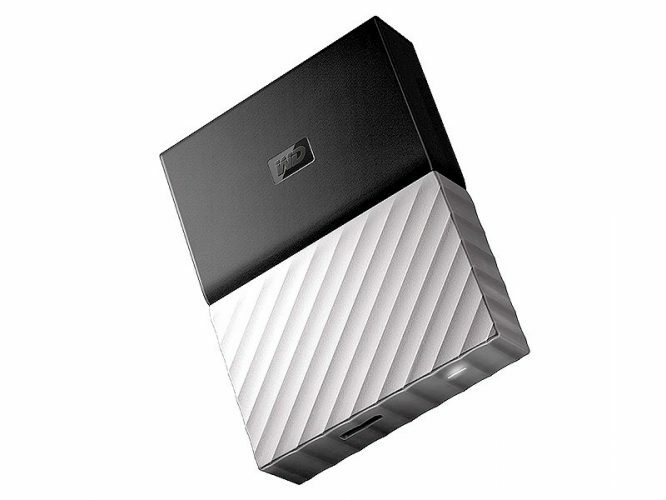 The WD My Passport 2TB drive measures 4.25 x 3.1 x 0.85 inches. It weighs approximately 8 ounces – a tad less than the 2TB Toshiba Canvio Connect II drive. To the lower end of the drive with a wavy design are the power indicator and the micro-B USB 3.0 port. The drive is powered via the USB cable which connects to the PS4. This lights up the power indicator. Like most other drives on our list, the WD My Passport 2TB drive ships with its USB cable. However, the cable is slightly wobbly. This won’t in any way impede your gaming experience. Thankfully, WD allows you to store up to 4TB worth of data on the drive. As such you can opt for the other storage capacities: 1TB, 3TB and 4TB and personalize your color. Additionally, if you intend to use the drive on your computer, you’ll find the 256-bit AES encryption useful. And if you have a computer with a USB 2.0 port, there’s no cause to worry. The WD My Passport 2TB drive is downward compatible with it. There’s a variant of the WD My Passport which is called the WD My Passport Ultra. Chances are that it may work with a PS4 console. We’ve not tested it, however. Be careful not to cause harm to your PS4 console by using non-recommended drives. Using non-recommended drives can damage your PS4 and also void the warranty. Here are the Pros and Cons of the WD My Passport 2TB. The WD My Passport 2TB portable hard drive for PS4 won’t drill a hole into your pocket nor perform below expectation. It’s a drive any PS4 game lover should own. For an ardent PS4 gamer, getting an external portable drive for your PS4 is necessary. With the size of big title games nowadays, one cannot help but opt for a drive with at least 2TB worth of storage. Remember to get separate drives for your media files and for the PS4 itself. Next, let’s answer some of your questions and debunk the myths that follow such questions. 1. How can I get more storage space on my PS4 without deleting anything? Getting more storage in your PS4 is just a matter of buying a new PS4 external hard drive. We reviewed some drives above. Check them out. 2. Will any external hard drive with USB 3.0 work on my PS4? According to the minimum requirements listed by PlayStation, the drive should have at least 250GB worth of storage space and a USB 3.0 port. That said, PlayStation didn’t mention any drive in particular as the recommended model. You might have to try your drive to see if it works. Remember, your drive needs to be formatted using the PS4 for it to start working. 3. Will using an external hard drive on my PS4 decrease the performance? It may slightly decrease the performance, but this would barely be noticeable. Moreover, getting an SSD won’t change anything. 4. Can you use a PS4 formatted external hard drive for more than just your PS4? Many people in a bid to save money are often tempted to buy large storage drives that can be used with their PS4 and computers. If you belong to this category of people, you’ll be disappointed. This is due to the fact that the PS4 doesn’t recognize partitions on the drive. As I suggested earlier, you should buy two separate drives to be on the safe side. 5. If I back up an entire PS4 game file onto an external USB hard drive, can I access the game on the hard drive and play it from there? This is not possible. Instead of trying this method, you should replace the internal HDD of your PS4. PS4 is designed to allow for replacement of the internal drive with a laptop HDD. Of course, you will need to backup the contents to an external drive, then swap out the internal HDD for a new one with larger storage and screw things back again in a matter of minutes. You’ll only spend time copying the data back to the new drive. 6. Can you use a USB hub with an external HDD? No. It will never work. 7. I bought a 256 GB HDD/USB and it says it’s too small? Due to some computational algorithms, the drive may not be seen by the PS4 as efficient. To be on the safe side, a 1TB hard drive will satisfy your needs. 9. What do the codes on the screen mean? If a code appears on your screen, chances are that you haven’t met any of the specified requirement. Below are some of the codes, the reason why they appear and a suggested solution. CE-41901-5 This code appears if you don’t use an external drive with 250GB minimum storage capacity. 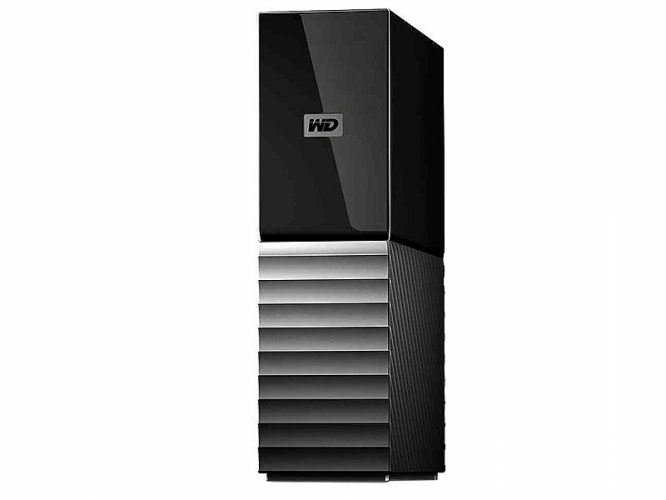 Get a drive that has a minimum of 250GB storage space free and 8TB maximum. CE-41902-6 If your drive doesn’t have a USB 3.0 port or you connected the drive slowly to the PS4 game console. Get a drive that has USB 3.0. You can select any of the ones we reviewed above. Also, when connecting the drive to the PS4 console, do that quickly but firmly. CE-41899-1 This error code appears if you connect a USB hub to the external hard drive. Connect the drive directly to the PS4 without the USB hub. CE-30002-5 The connected drive may not be properly formatted. Try to format the drive again. You can restart the PS4 if the error persists or seek help from a specialist. I believe we’ve answered your questions about PS4 external hard drives. We’ll continue with some important “how to” tutorials. In this section, we’ll take a look at some of the following. So, we begin with the first. Disconnecting your PS4 hard drive from the console as you like may damage the drive and even the console. Moreover, it can also lead to loss of data or data corruption. Imagine what will happen after you spent weeks trying to overcome a particular stage in GTA 5. To avoid such an occurrence, here’s a step by step guide on how to disconnect your extended storage drive from your PS4. WARNING: Don’t disconnect the drive. Don’t turn off power to the PS4 console. It is important to change your application install location now – you won’t be able to set it during a download. If you feel the need to change the location where applications are installed on your PS4, here’s how to do it. From this moment henceforth, all your applications will now be installed on the extended storage. Simple as ABC. Here’s is the video tutorial on how to change application install location. Enjoy! Well, I had WD hard drive 2Tb passport. I was best and had used it for over 2 years. It was very handy and never gave me any trouble when linking to computers and laptops. I had stored my personal files, work files and others. Then I gave the drive in my family and bought Transcend, I don’t know why I bought another brand. Perhaps because I wanted to try another brand. Transcend hard drive is good but there is this connectivity issue, I always face. The usb sometimes does not recognize the hard drive, then I had to unplug and re-plug. This frustrates, when something important is playing and suddenly there is “error message” that “No drive found”. I couldn’t find any solution for this. So, probably next I will buy WD drive again. Every drive have warranty period. Just ask for replacement.